Samsung has posted a drop in operating profit in the fourth quarter due to the slowing sales of its high-end smartphones. The South Korea-based tech giant's operating profit stood at $7.8 billion for the quarter, (£4.6 billion, AU$9 billion) down 18 per cent from the previous July-September period. It is the company's first quarterly profit decline in two years. The company said that its earnings are unlikely to grow in the current quarter due to "weak seasonality" in the IT industry. It expects to improve sales in the second half of 2014. Will the Galaxy boost sales? Previously the South Korean company had experienced a long run of record quarterly profits off the back of its Galaxy smartphones. Samsung's mobile division reported that its profits were down 2.8 per cent from the previous quarter amid fierce competition with rival Apple. 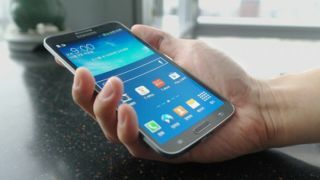 Samsung is hoping for a boost in sales with the release of its new Galaxy S5, expected in April. Bright news came from Samsung's semiconductor business, where profit was 40 per cent higher year-on-year amid a surge in demand for memory chips, which resulted in the sale of $114 billion (£68 billion, AU$131 billion) worth of semiconductors in 2013.